Nearly forty years later, the artists in Cultural Fluency are doing precisely that, within the context of Brooklyn. The exhibition is part of a wider dialogue examining the creative exchange between urbanism and art practice. Through its newspaper/exhibition catalogue, communication materials, and the curator’s ongoing blog site (culturalfluency.info), Cultural Fluency expands beyond the gallery into the city, inviting all to participate. Read Jonathan Tarleton's review "Cultural Fluency: Intersections of Art and Urbanism" in Urban Omnibus. The exhibition's public program night, "Inside Cultural Fluency", included Q&As with the artists, a salon-style talk about art's impact on the urban environment, and Aisha Cousin's performance art score, "Stand Up!". 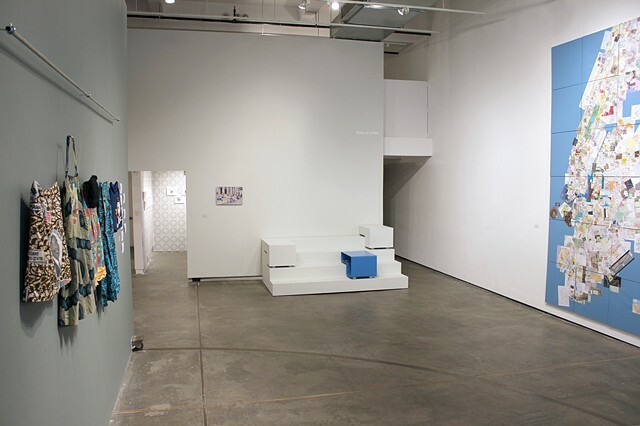 Cultural Fluency is curated by Erin Gleason, a 2012-13 recipient of BRIC’s Lori Ledis Emerging Curator Fellowship.